Stretch down the eastern coastline, absorbing culture, scenery, and a whole lot of sun on our East Coast Spectacular tour. Hitting all the major spots up the coast, you’ll experience Melbourne, the metropolitan cultural center of Australia, the natural beauty of Tasmania, the crystal clear waters of the Great Barrier Reef, the iconic sights of Sydney and so much more! City life is great – that’s why we’ll have time to explore thee of the major cities – but there’s much more for you to see in Australia. 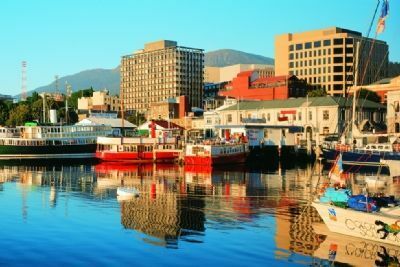 Whether you’re enjoying the Koalas and Kangaroos, in the Wild tour (a perfect opportunity to appreciate Australia’s diverse wildlife), the Port Arthur tour around the lesser discovered Tasman Peninsula, or snorkeling with the wide array of aquatic life on the Great Barrier Reef, this tour has you hitting all the hot spots the East Coast has to offer.